One of the main criticisms of using web services is that they’re inherently insecure. By default anyone can access them and if they have functions to actually change anything then one must proceed with caution. My current client was somewhat skeptical about their introduction and the only way I could bring them round to the wonderful gifts that they offer was to promise that we’d investigate a secure way to present them. There was some trial and error but I think we came up with a pretty good solution which I shall share here. Why use web services at all? 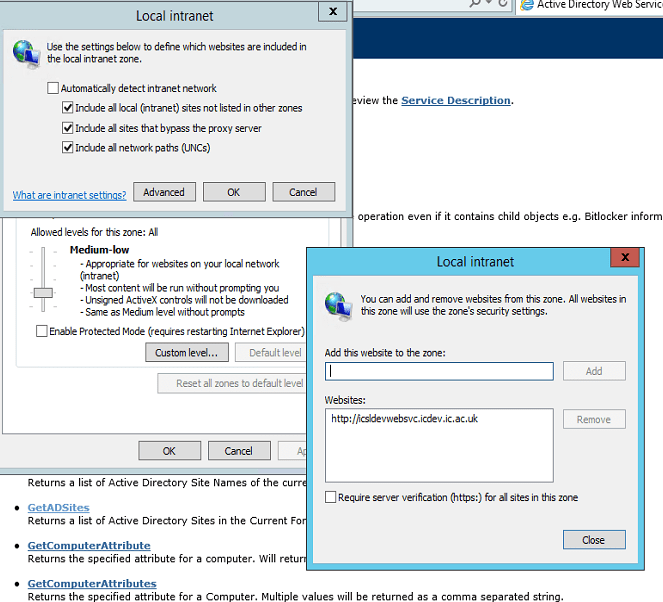 From a deployment perspective they can provide a mechanism to access Active Directory, MDT and SCCM without a client OS necessarily being part of AD. For example, they could be called from a WinPE session to update a database or query/update an OU. They’re relatively easy to write if you possess basic programming skills but if not, then I fully recommend you check out Maik Koster’s toolset here. Installation instructions are provided but do fall a little short on security, so let me crack on. First of all, if you run a PKI infrastructure, let me recommend you you change the URL to run under HTTPS. I am not going into detail in this respect here as there are plenty of how-to’s on this topic elsewhere on the web. Suffice to say it’s a no-brainer if you’re truly concerned about security, particularly if there are any services which need to pass confidential information such as passwords. Follow these steps to lock down page to an AD group. I won’t go into detail on clicky-clicky, I assume if you have come this far you’ll know this stuff from within IIS and from the screen shots provided. If enough people tell me otherwise, I’ll review this though. 2. 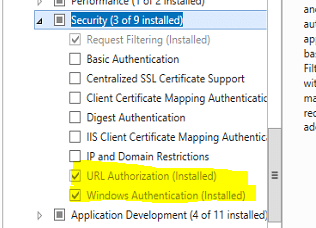 Install url authorisation feature and windows authentication features from server manager or Powershell. 3. After installation, change authentication model as follows (apologies, image is a little blurry, I’ll try to update in due course). 4. Update Authorisation rules. Note that All Users verbs have been changed to POST. This prevents the web page appearing at all without a login prompt (ie the initial GET action is prevented from running) for all users other than those in that are members of the specified AD group. 6. Update local Intranet sites. If the site isn’t trusted you may need to add this to local intranet sites to prevent a login box appearing. You should now have full pass-through authentication for your web service, dependent on membership of the AD group of your choice.